Warner, James Chadwick age 91 passed away peacefully on November 1st 2018. Like many of his generation he served in the U.S. Army in WWII. Jim had a enormous sense of humor and also had a joke handy. 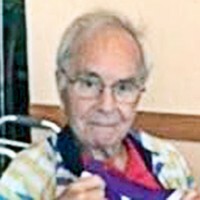 While living in Minneapolis area his entire life, he was a avid outdoors man and bicyclist and biked all over the US and Europe until the age of 88. Jim is survived by his wife, four children , two sisters, four grandchildren and one great grandchild. Always interested in the education of others Jim donated his body to the U of M medical school in order to contribute to the next generation of physicians. There will be a private family service. In lieu of follows please make a donation to the American Heart Association in honor of Jim.